Earn $3.46 in Rewards credit (346 points) What's This? 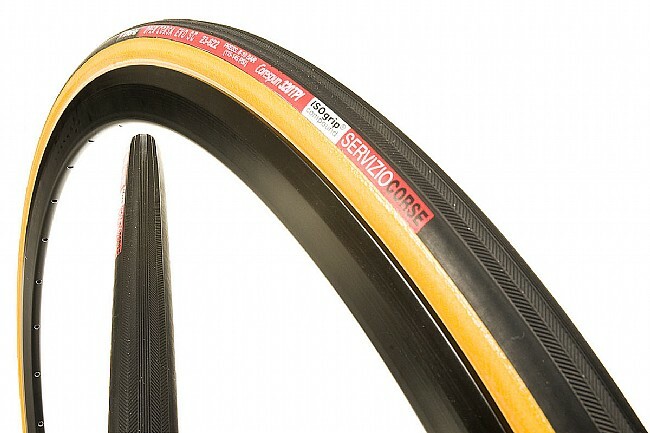 Vittoria's most advanced tubular yet. The Open Corsa EVO gets the SC (for Servizio Corse) designation along with a high-tech rubber compound, brand new tread design and chic retro look. New IsoGrip rubber compound ensures all-weather traction and amazingly low rolling resistance. I use this for my vintage steel bikes and also my Richard Sachs and Pegoretti which are classics.